Gundle API has been the market leader in the field of Plasticulture for the past quarter of a century. 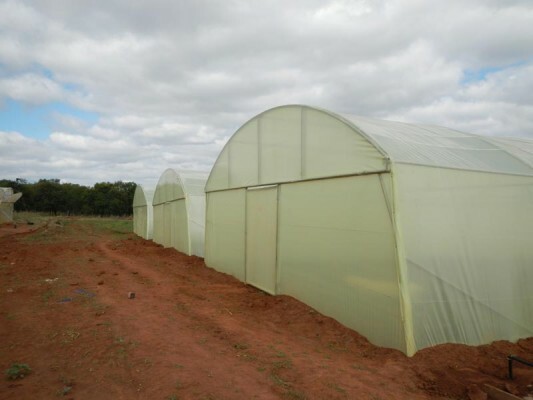 It was the first company to manufacture agricultural films such as Greenhouse Films, Plastic Mulch, Hydroponic Membranes, Wide Width Silage and a diverse range of other agricultural films. Today Gundle API is still the only manufacturer of most of the plastic membranes used in South Africa. Over the years Gundle API has built up a proud name for quality and service. Our products have set the standard in the industry for quality and performance and are supported by one of the most sophisticated laboratories in the country. We are also ISO 9000 certified and our products carry the SABS mark where this is a requirement. Gundle API customers can safely rely on the track record we have built up over the past 30 years. 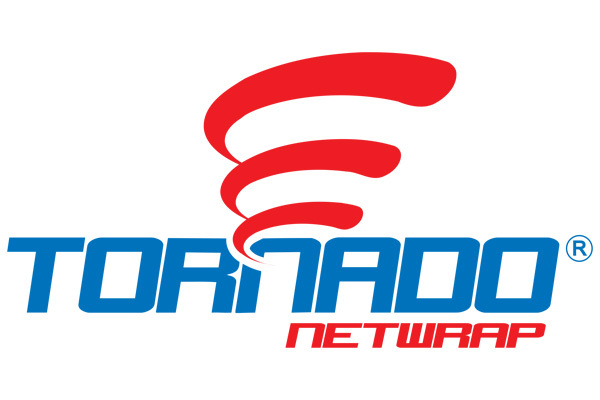 We also have a national staff of specialized sales people who provide on site service when required. Adaptable to any shape or size. Various formulations of LDPE HDPE and EVA. Protect your profits with Evadek UV stabilised Greenhouse sheeting! UV Stabilised for resistance to solar ageing. Excellent mechanical properties for harsh weather conditions. Additives can ensure good light transfusion, reducing shadows. Evadek can ensure all year round controlled environment growth and reduction. Material can be manufactured to customer requirements in lenghts or widths and in thickness from 150 – 250 micron on a made to order basis dependant on volumes. A package of UV stabilisers manufactured to special formulations of LDPE/EVA and incorporating various additives to satisfy customer requirements and weather conditions. 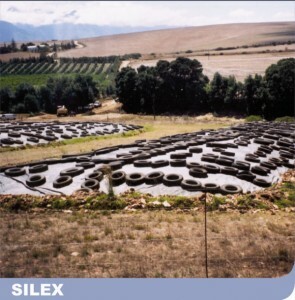 South africa´s most technically advanced plastic mulch. Ensuring optimum growth and improved yields. Black mulch eliminates weed growth. Excellent moisture conservation due to lack of evaporation. Less soil compaction by soil not drying out. Optimum usage of fertilizer. No leaching. Clear mulch heats soil and enables earlier planting ( solar or chemical disinfection of soil necessary to prevent weed growth). Optimum conditions ensures earlier and larger crop. Excellent mechanical properties and tear strength. Thickness from 25 micron to 210 micron. Widths from 750mm to 1,5m. Lengths 500m to 1000m rolls. UV stabilized from 6 – 12 months. 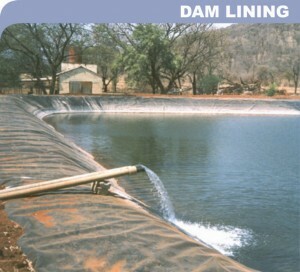 An innovation to improve the efficiency of flood irrigation and water economy! 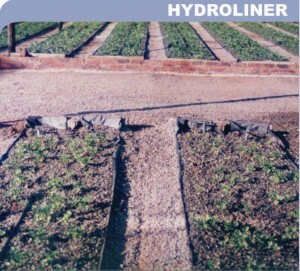 Adaptable to most flood irrigation systems. Allows more accurate water control. 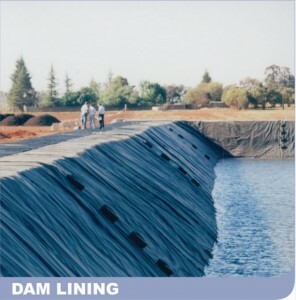 Eliminates water loss through seepage and evaporation in earth canals. Portability ensures improved land utilization. Reduces weed infestation along earth canals. UV Stabilised LDPE tube Standard widths. Soilless vegetables production in stabilised gulleys . Earlier and more even crops. UV resistant up to 5 years for 500 micron. Manufactured to customers specifications in lengths and widths on quantities. RYDEK is formulated for short season applications. This method is preferred due to easy replacement and crops that require protection for more than one season. Wire hoops should not be placed more than 750mm apart as any planned saving in this respect could result in total loss due to wind damage. 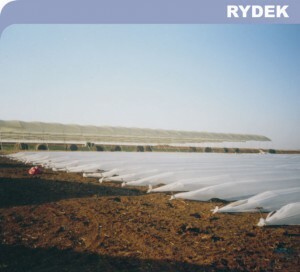 Crops growth with great success under RYDEK include lettuce, radishes, tomatoes, strawberries, watermelons, beans, squash, asparagus, melons and various flowers. RYDEK reduces frost damage RYDEK is formulated for short season application Wire hoops should not be placed further than 750mm apart as any planned saving in this respect could result in total loss due to wind damage Crops grown with great success under RYDEK include lettuce, radishes, tomatoes, strawberries, watermelons, beans, squash, asparagus, melons and various flowers RYDEK is particularly suitable for the protection of seed-beds for tobacco, vegetables, flower plants and for the propogation of cuttings yield is increased by 40 – 100% when using RYDEK. Special sizes can be produced on request and is subjected to minimum quantities. RYDEK is formulated for short season applications. This method is preferred due to easy replacement where crops that require protection for only one season. Wire loops should not be placed further than 750mm apart as any planned saving in this respect could result in total loss due to wind damage. Crops grown with great success under RYDEK include lettuces, radishes, tomatoes, strawberries, watermelons, beans, squash, asparagus, melons and various flowers. 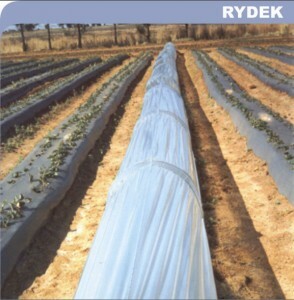 RYDEK is particularly suitable for the protection of seed beds for tobacco, vegetables, flower plants and for the propagation of cuttings. Yield is increased by 40 – 100% when using RYDEK. Ensuring exclusion of air and preservation of fodder crops! 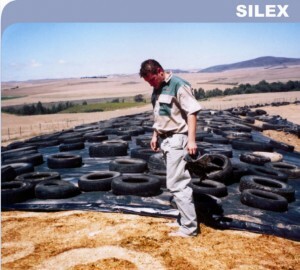 Special formulated silage cover to exclude moisture and air. Long lasting in exposed sunlight. Good general purpose exterior covering sheet. Available in wide widths up to 8m can be welded. Roll lenghts in 30/50/100m rolls. Reasonable tear and puncture resistance. Available in a CO-ex black/white extrusion, up to 20m wide. Our tinted or plain co extruded formulation offers great sealability and clarity. is a high strength, high stretch, and high tack reflective White plastic that creates a airtight tension seal for a Minimum 12 month period to preserve silage bales. reflects solar heat, eliminating the wasteful caramelising that can occur with coloured wrapping films, thereby maximising the value of your silage and maintaining the high levels of nutrition, with virtually no spoilage. has high strength and stretch capabilities (50 – 70%) without sacrificing UV durability or tack (adhesion). This combination of quality and performance gives you the economical advantage of more bales per roll of plastic, depending on the machine you are using. was designed to withstand the extreme climatic conditions throughout Southern Africa. GUNDLE, being a true South African company manufactures FODDER FLEX for the South African market only and we are proud to offer a 12 month replacement warrantee on FODDER FLEX. 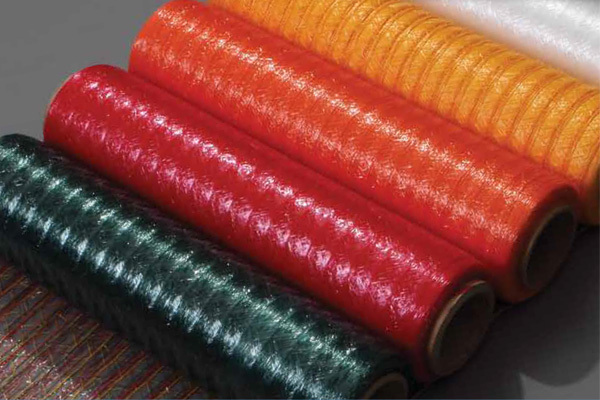 Round bale netwrap is manufactured from high quality raw material using advanced technological processes. Rolls of netwrap are packed in PE bags. Both ends of cardboard tube are protected with plastic plugs. Made of high-tech materials and knitted on the state of the art machinery, PALLET NET Elastic EXTRA is the key to the optimal p performance while wrapping your loads. Use across the various sectors as construction, food industry, chemical industry, etc.